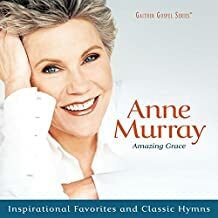 Anne Murray is an incredibly talented lady with hundreds of wonderful recordings. You'll find old country song lyrics with chords to help you learn to play and sing your favorites. Singing was a huge part of "Anne Murray's" life by the time she was seven years old and has gone on to become a household name in the music industry. Her warm voice and well loved songs have become woven into our everyday lives with many of her songs speaking of childhood, love, wedding day, parenthood and losses. They have a way of comforting us bringing joy and an uplift and so many of them being forever in our hearts.